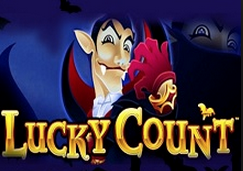 When it comes to well-worn concepts in the online casino world, they don’t come much more worn than the theme of Irish luck. Leprechauns and clovers have been a constant presence in casinos and casino games for much longer than the iGaming world has existed, but since its launch some 20 plus years ago, the frequency of these images has only increased. That means that Pots of Luck casino has a lot of work to do to stand out, due to it looking like so many other things we’ve seen. What Pots of Luck really needs, is originality, and that may be an issue, because this site runs on the Nektan platform, and Nektan sites are not exactly known for being unique. A steady stream of sites that look alike, and have more or less the same content has been arriving on the online casino market for a long time now, thanks to Nektan, and if these same lazy habits have gone into Pots of Luck, then this is likely to be the most forgettable casino in iGaming history. However, we have been surprised before, and it’s always worth giving a site the benefit of the doubt. Pots of Luck was released in 2016, so maybe Nektan had learnt from their mistakes by then? If you’ve been to a Nektan casino before, then you already have a solid idea of what Pots of Luck looks like, because our benefit of the doubt appears to have been somewhat wasted, this site just does the same thing again. The layout is the same as it is at numerous other Nektan sites, even the thumbnails on the homepage that allow instant access to popular games are in the same order as at many other casinos. The only differences that are present here in terms of design come from the parts of the artwork that are based around the Irish luck theme, are there aren’t many of them. 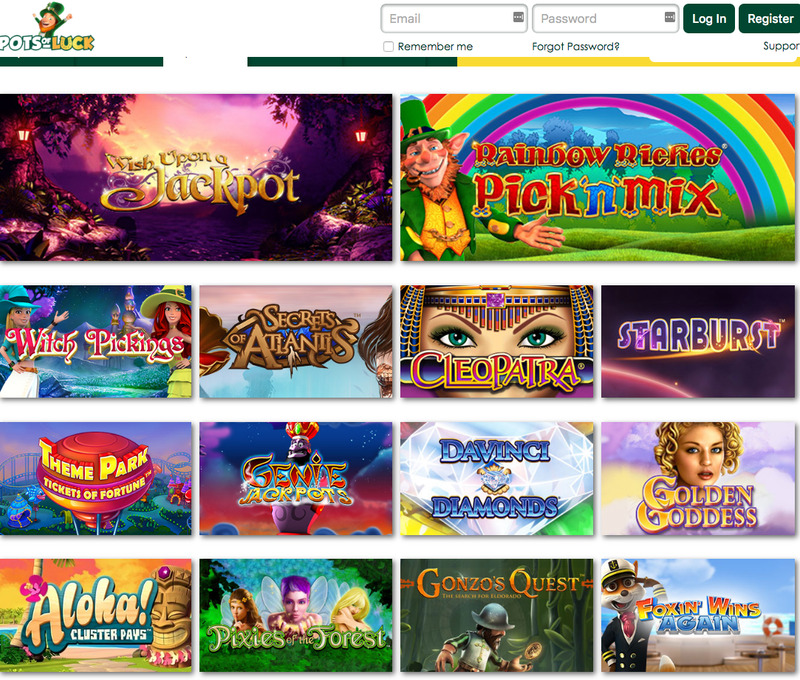 A predictable looking ginger haired, bearded leprechaun appears in the logo and again in the banner, while green casino chips provide the background lower down, and that’s it, there is nothing else but a white background for the rest of the site. Even by Nektan’s standards this is a disappointing looking site, nothing impressive is happening here, the site looks unfinished if anything, and certainly does not provide any temptation, or separate itself from every other Irish luck based game or site either. Pots of Luck, unsurprisingly, offers a very similar selection of games to its network brethren, but they are, to be fair, worthy of a mention, because it’s a strong collection. If you’ve never played at a Nektan site before, then you’re likely to be impressed by what’s on offer here, with titles coming from an impressive list of high profile software developers including Big Time Gaming, Blueprint Gaming, Extreme Live Gaming, Felt, Gamevy, IGT, Microgaming, Nektan, NetEnt, NextGen Gaming, NYX Gaming, Realistic Games, SG Gaming, and Williams Interactive. 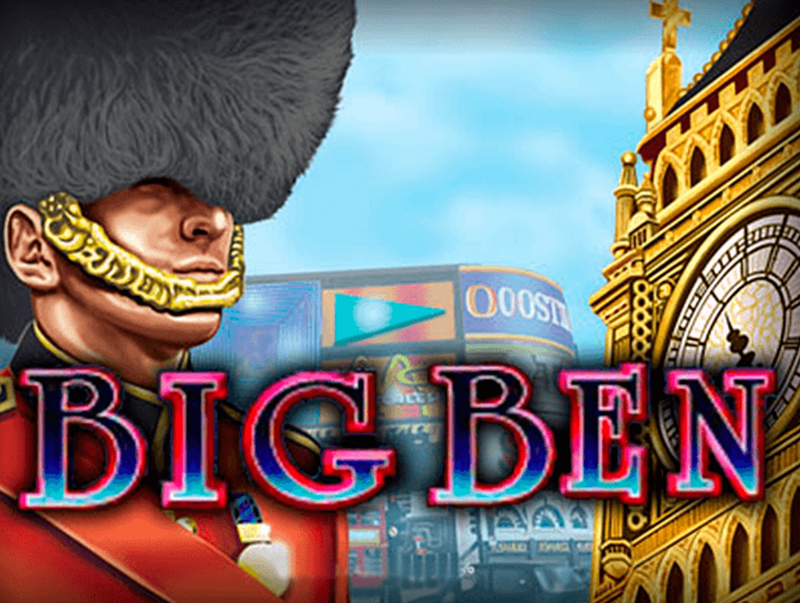 If you’re after slots, then there’s a lot here, new releases and old favourites alike, while table and card games are also present in abundance, there’s even a section devoted to Irish themed games. 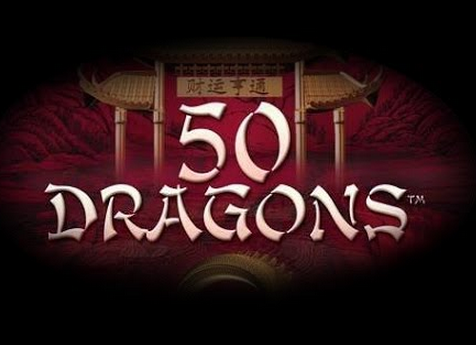 If this is new to you, then there is definitely enough to like about Pots of Luck to keep you interested, but if you’ve ever been to a Nektan casino at any point during your playing experience, then this is just another one of the same. Nektan really need to start bringing something new to the table soon, but based on Pots of Luck, they don’t seem to be in any rush.